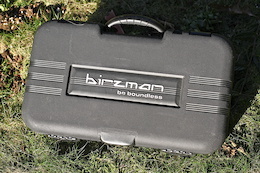 Birzman's Travel Tool Box puts the essentials together in one easy to carry kit. 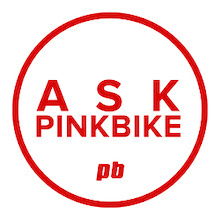 Pinkbike Product Picks - a quick look at the products that we've been using day in and day out. 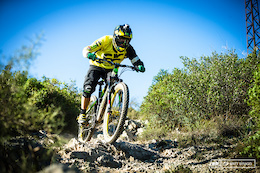 Commencal would like to wish everyone a happy new year and a 2015 that's made for you. Wash away the Winter Blues in Manchester this weekend as the 2015 ArenaCross Tour kicks off. An average day to one rider is never the same to another. DJ's days are enviable. 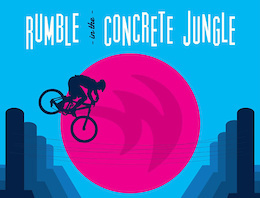 The US National Whitewater Center once again reinvents itself as a mountain biking venue for Rumble in the Concrete Jungle. The Hutchinson UR Team wishes you all a happy new year with their best moments from 2014. Looking for something different? 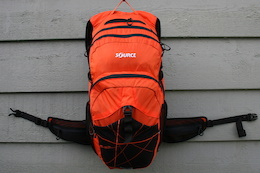 We try out Source's Paragon backpack to see if it's more comfortable than the competition. We bid adieu to 2014 with a little bit of carnage. Hopefully you'll keep things rubber side down in 2015. Here's Adam Kovar's 2014 wrapped up in three tasty minutes. Chris Smith is one of the most versatile riders around, watch as he shreds everything from DH to dirt jumps. 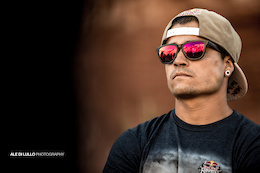 The 2014 Red Bull Rampage champion looks back on the season and discusses the future of freeride. 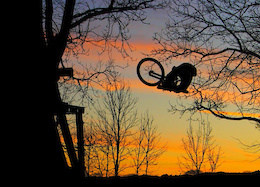 Aussie Ty Bowmaker shares his 2014 filming highlights from DH, to street, to moto. 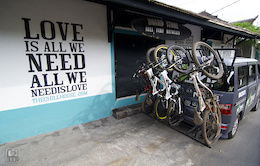 The Path Finder crew head south for their latest riding expedition to Bosnia Herzegovina. 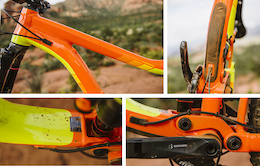 SRAM's seven speed X01 DH drivetrain gets put to the test. It's been a great run for the TLD and Troy, but the end of this year marks new paths for one another. 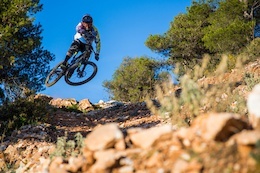 Joe Connell heads to Roost DH in southern Spain near Malaga for some winter sun. 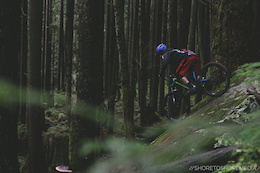 Steve Storey getting his Endorphin fix throughout the PNW. 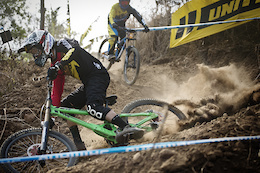 YT Industries riders, Karin Pasterer and Nina Fahrner are both back on their bikes following serious injuries in 2013. 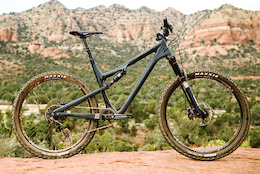 The Lifeline DH is carbon fiber downhill exotica straight out of Poland, but does being different also mean being better? 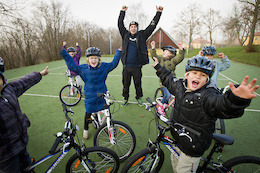 The folks at Shimano team up with their local Big Brothers, Big Sisters and get 12 kids onto new bikes for Christmas. We give you the final Movie Monday of 2014, please enjoy these 19 videos. Eastern States Cup take a look back 2014 through the eyes of the photographers and videographers who covered their events. 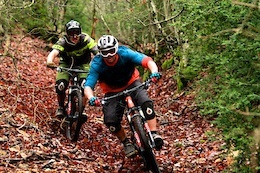 Enduro2 is a brand new mountain bike event for 2015. 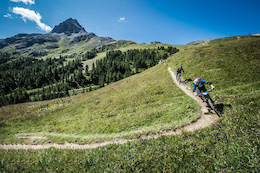 Covering 100km and 12,000m of descending, Enduro2 promises a a format that focuses on friendship in some of the best terrain in the French Alps. 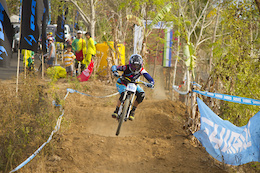 The young riders get better and better each year. The 2014 Maxilly Jam was a good time. 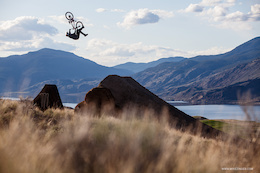 Join Brett Tippie as he takes James Doerfling and Garett Buehler on a trip down memory lane in Kamloops, BC. 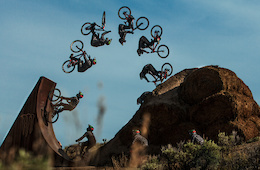 Tune in today for Red Bull Rampage action on NBC. 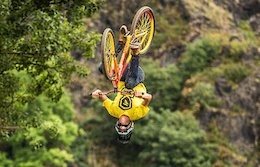 A tandem, Le Mans start, Kelly McGarry, a lost tooth and carnage means you have to check this out. 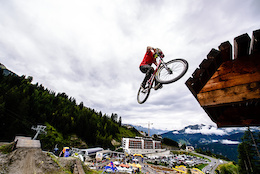 Fabio Wibmer spent three months filming and riding trials in some incredible spots in Osttirol, Austria. 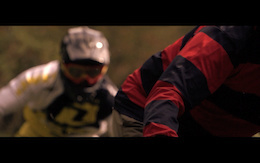 Rémi Thirion's segment in the French MTB film, Hexagone filmed in Les Vosges. Explore the unridden zones in the remote region of Spiti. 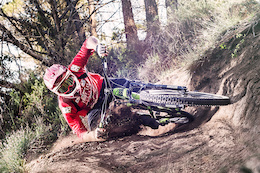 Victor Adraste rides the Barcelona trails in winter conditions most of us can only dream of. 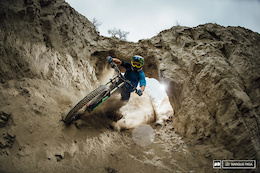 Kuba Gzela has put together part two of Sezon, which follows the big names in Polish mountain biking through the 2014 season. The schedule for the 2015 NW Cup has now been released with seven races at four different venues on the agenda for next year. 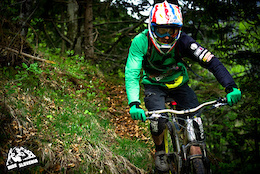 2013 British Enduro Champion Alex Stock and Jonathan Tubman take on a very technical trail in the Slovenian Alps. 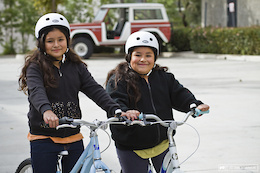 Share the Ride teams up with Montenbaik to get some great Giant bikes to kids keen on mountain biking in Matanzas. 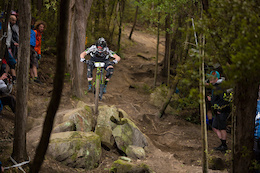 Graves looks to defend his title at next years Rotorua Bike Festival. 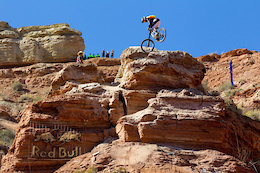 Red Bull Rampage will air today on NBC at 4 pm ET as part of a 2-hour full-length special. 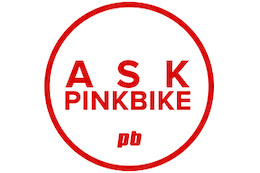 Pinkbike Poll: How Do You Want Your Bike Biased? 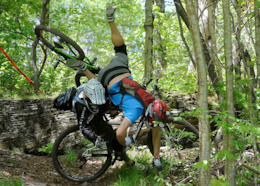 There are six inch bikes that descend like demons, and there are six inch bikes that climb far better than they have any right to. What do you prefer? 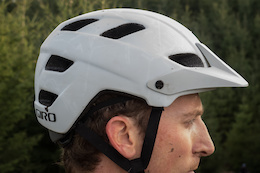 Giro's popular Feature helmet is available with a MIPS liner for 2015. 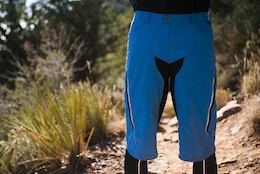 Pinkbike Product Picks - a quick look at the products we've been using day in and day out. 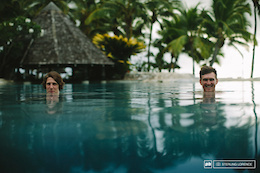 When Freeride Entertainment set out to Fiji to film with Brandon Semenuk and Brendan Fairclough for Rad Company, they had Sterling Lorence on hand to capture it all. This is his story about their time spent in this beautiful part of the world. November saw riders from all over the world descend upon Sri Lanka for Rumble in the Jungle 2014. We get down to the nitty-gritty of British Cycling leaving Enduro, insurance, new federations and full-face helmets. It's a long one, so get a mince-pie and a cup of tea ready. 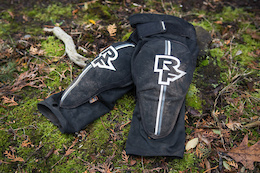 Race Face's latest knee guards are light weight, but they don't skimp on the protection. 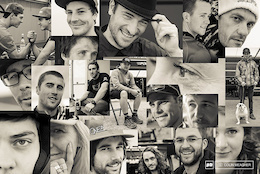 Time to wrap things up for Peaty and the rest of the syndicate for 2014, check out the last episode of the series and some bonus photos right here. More love spread in the form of bicycles, this time in America's 5th most populous city, Philadelphia. 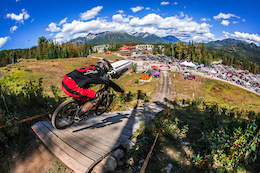 JB's first year as a mountain bike photographer is a wrap, here are his best shots from the season. Japan as a whole has got an amazing culture and the bike scene is growing daily there. 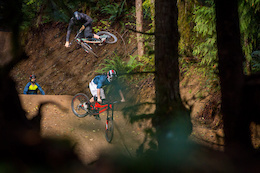 Jono Jones gets loose in the dust at Whistler Bike Park. 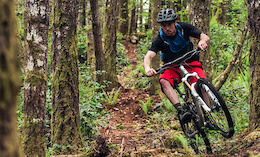 Follow Aaron Chase and Brett Tippie into the dense tree-filled wilderness of BC, to find and ride some of Squamish's hidden treasures, both old and new. The winter sun soon turned to snow in Volgograd. 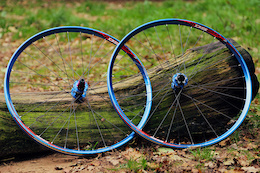 It's no secret that Hope makes a really good hub, but how does their complete wheelset hold up to a few months of abuse? Visit the Advent Calendar today and you could win some of the nicest sport headphones around courtesy of Jaybird. 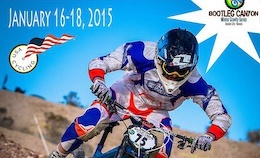 Registration for the 2015 Enduro World Series opens in January. 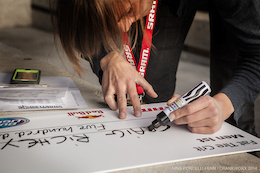 With many races selling out in a matter of minutes in 2014, registration for 2015 will be open in stages to help as many people as possible secure a spot. Silent Norco rider, Andrew Golabek is moving forward to 2015 as the 2014 Ontario Champion and the Ontario Cup overall winner. Sometimes paradise is right on your doorstep. 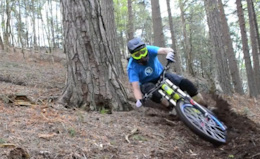 Mark Scott has been busy sculpting a new line on his local hill, but no dig is complete without a test ride. 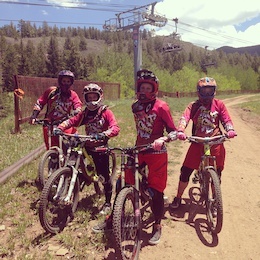 The Pin it Girls Gravity team take a look back at their first season as a team. 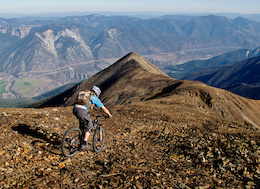 Join Polygon riders Andrew Baker and Beth Parsons as they enjoy some great fall riding in Pemberton, BC. Road Bike Party Three is here, the guys head out to California and Martyn Ashton puts Sam Pilgrim on a road bike for the first time. 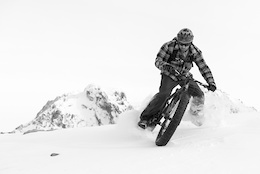 Can You Freeride a Fat Bike? Fat Free Blizzard? 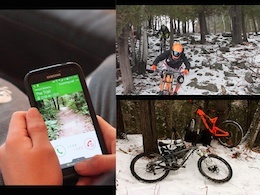 Freeriding a fat bike? Rocky Mountain makes it a reality with their new chubby tired creation. 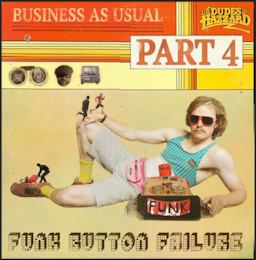 A technical short intended for a broad range of weather conditions. E*thirteen will have you rolling in style should you win today's advent calendar prizing - get in there and enter already. 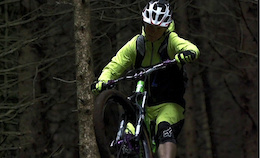 Dan Atherton rides around the trails close to home at Dyfi Forest with local friends. Style is its own present and Santa has left a lot of it under Cody's tree over the years. Always a fan of girls shredding in edits. Combine this with some awesome Whistler memories and you have a winner. 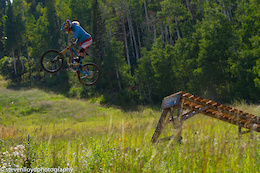 Sasha Yakovleff and Andrew Meehan take advantage of the Autumn sun and session Canyons Bike Park and Tanner Dirt Jumps. 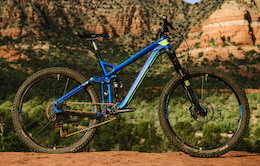 The 2015 version of Felt's 160-millimeter-travel all-mountain bike is a whole new animal. 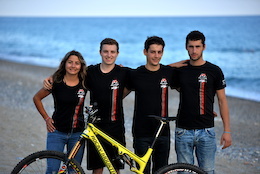 Cécile and Cédric Ravanel lead the charge on Commencal's new Enduro team. 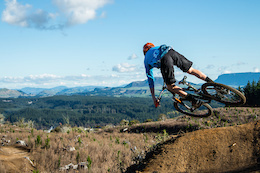 Kiwi's get some extra love with 34 riders guaranteed wildcard spots at the Giant Toa Enduro Rotorua during Crankworx. 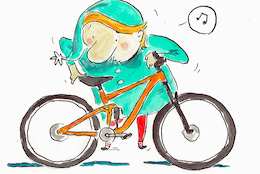 Merry Christmas from North Shore Bike Shop! 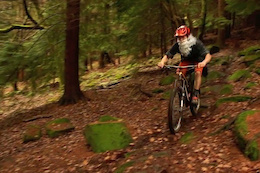 Beards, bathrobes, and plenty of straight up shredding in this holiday-themed video. 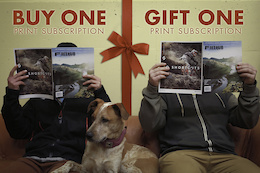 Visit the Advent Calendar today and you could win some awesome Bluegrass gear. The new year is right around the corner, but Waki has busted out the crystal ball to look into the year 2020 and what we can expect from CannonRail. A look back at some of the most viral videos from the partnership between Steel City Media and Cotic bikes. 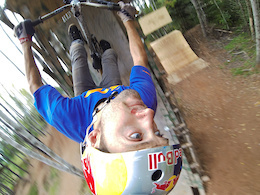 Watching Pavel (Cherrybomb) Vishneviy ride is mind blowing. 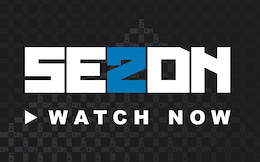 Our gift to you, 23 videos to enjoy over the holidays. A lot has happened in the last few years for this young ripper. 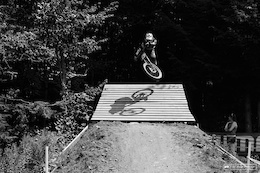 Check out this young shredder Peter Jamison doing his thing. Filmed at Red Bull District Ride and Libcice, this is Tomas' Dirt Odyssey from 2014. 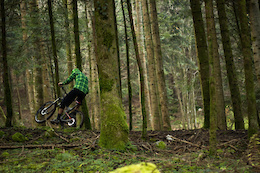 Check in with the Coubès brothers at their summer playground in Switzerland. Junior Oscar James is working hard this off season in order to climb the ranks next year. 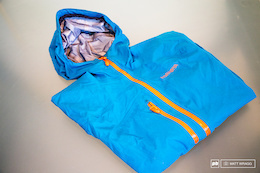 Visit the Advent Calendar today and you could win some awesome Source gear. 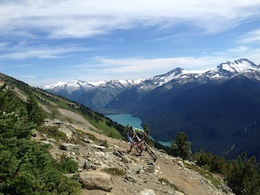 If you want to improve your riding skill and start a career in the mountain bike industry, the Peak Leaders five week course in Whistler could be right for you. 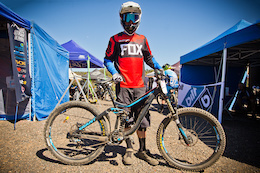 The One Rocky Mountain boys crack out new bikes and kit and get to racing at round one of the VDHS. 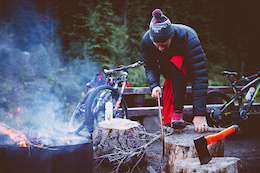 Joyride is a documentary dedicated to the extreme disciplines of cycling, encapsulating the essence of the extreme sports lifestyle and the joy of the ride. Visit the Advent Calendar today and you could win some awesome Kali gear. 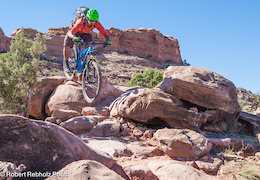 Robert Rebholz checks in with trail builder and all-around shredder Tyson Swasey on the wildly popular new trail, 'Captain Ahab', and finds out what projects he is working on next. 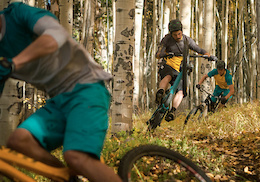 FedEx has chosen to partner with Niner bikes to unveil their first video in 'The Makers Series'. It's good to see how business relationships are built together through supply chains. Three warriors, brought to their knees by circumstance and injury who fought their way back to the arena. Only one will be crowned. Pinkbike's freeriding friend Richard Gasperotti and Tomas Hauptvogel go on a mission to deliver new bikes and helmets to three different orphanages in the Czech Republic. 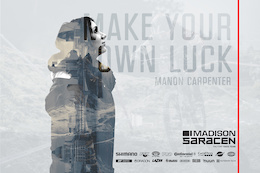 The third and final part of Reflections follows Manon Carpenter's journey from Welsh Valleys to World Cup. We see her at home after her incredible season reflecting on what lies ahead. Pinkbike Poll: How Far Away Are Your Closest DH Trails? Are you one of the lucky ones with DH tracks in your backyard, or are the real mountains a massive road trip or plane ride away? 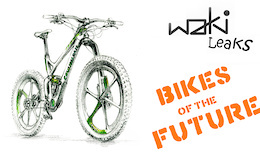 Which of these five machines will be the Downhill Bike of the Year? 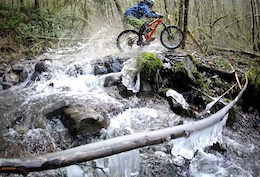 In many parts of the Pacific Northwest the ground freezes, but the snow never comes. It's days like this that make us stoked for the year around riding that we get to do. Nicholi Rogatkin made waves this past year with his stunning performances on the FMB tour. 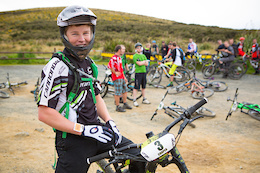 We caught up with him recently to talk about his rise in the MTB ranks. 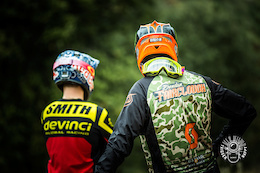 Watch from every angle as Stevie Smith and Brendan Fairclough shred a trail from top to bottom. 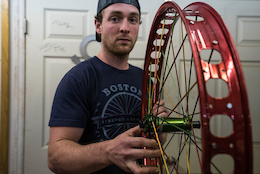 We travel to Asheville, North Carolina, to see where Industry Nine's wheels are born. Go behind the scenes with Danny MacAskill and Cut Media to find out what happened during the making of 'The Ridge'. The Montenbaik Enduro Latam Series will host three rounds for 2015 with rounds in Brazil, Argentina and Chile. 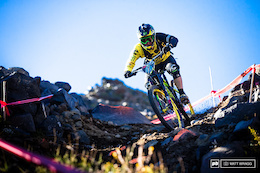 Here’s a look back at the last 12 months with team CRC/Nukeproof, with Sam Hill returning to the top of the podium, Mike Jones blasting onto the elite scene and Joe Smith climbing up the rankings. 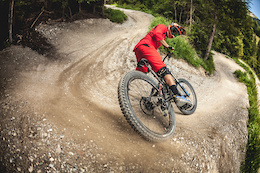 Euro enduro inspired, two-ply tire with all-weather grip delivers as promised. The Rocky Mountain Urge BP team reflect on their bumper 2014 season and look forward to the ride in 2015. Visit the Advent Calendar today and you could win Saris Prizes. 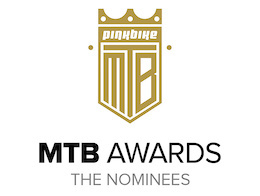 A fresh new series, old events at new venues and an industry mainstay make up this year's nominees; it's certainly no easy task to pinpoint which single event should take the crown as Pinkbike's Slopestyle/Freeride event of the year. 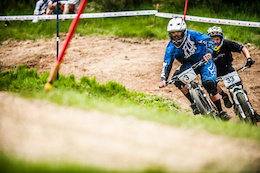 Follow the Bluegrass Factory team as they travel the World Cup circuit in 2014. 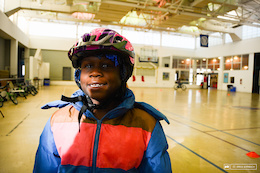 Amanda Cordell has a hard time keeping lunch dates, but that's ok because this girl can shred. 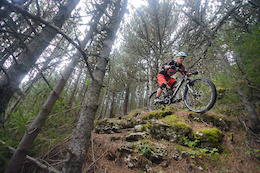 The Bluegrass Enduro Tour is back with new venues and locations for 2015. 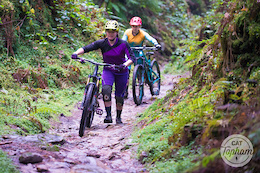 Alliance have created a list of 12 tips to develop the infrastructure and boost mountain biking tourism in your area. Lars Sternberg teams up with Scott Secco and Paris Gore for one of the wildest trail videos of the year. You'll want to ride after watching this one. With the corridor cleared and a plan in place, the full build crew descend upon Retallack lodge. We all need more adventure like this in our lives. The ARG Vertical has a built in back protector to help with those less-than-graceful dismounts. Making lift access holiday planning easier. 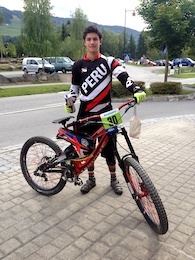 Alex Marin Trillo is a young gun from Spain, picked up by Giant Factory Off Road Team in 2014, he's one to watch. 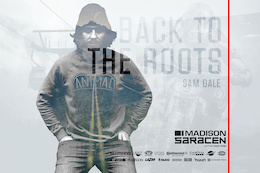 In Reflections part two Sam Dale talks about his preparation for next season, his love of motorbikes and his riding. Essential, fashionable, clever, value-priced, groundbreaking - which of our five candidates was this year's stand-out product? Marzocchi give us the low-down on the upcoming season including new products and athletes they will be supporting in 2015. The dudes adventure around Scotland to find some prime singletracks, deep bogs and the holy grail of trails. 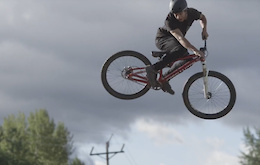 Matt 'Aussy' Dennis is a talented dirt jumper living in Fernie, British Columbia. 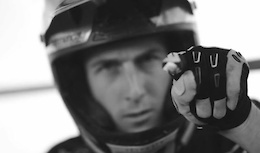 Enjoy his handiwork in the latest video from Mind Spark Cinema's 'Along the Way' series. Visit the Advent Calendar today and you could win Hitcase prizes. This series of behind the scenes videos from Crankworx in Whistler is pretty sweet and this week we get to follow the Chainsaw massacre himself, Steve Smith. 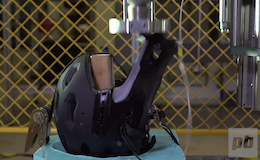 Step inside Bell's helmet test lab to take a closer look at the types of testing the Super 2R's chin bar underwent. 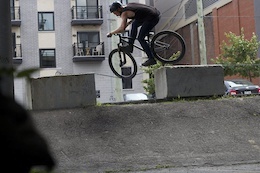 Sam Reynolds takes us round a few local spots and spends the day, doing what he does best. 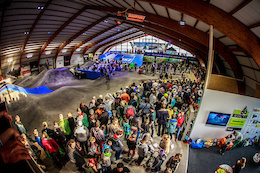 Reynolds, Sherwy and Timo Pritzel put on a great show for the opening of Velosolutions' new bike park in Switzerland. After an incredible season of slopestyle and freeride events, we've selected this year's top five nominees. 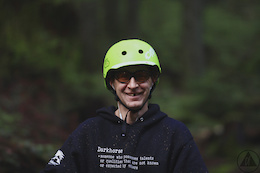 For those who may never heard of him, Colin Yarrow is a dark horse, as well as running Team Darkhorse he has many other hidden talents on and off his bike. The fine folks at Continental Tires would like to share their most recent video, Ale King, with us. 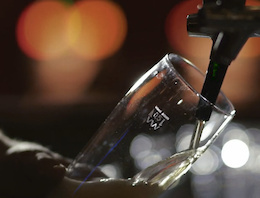 You may fancy a pint once you're done watching. 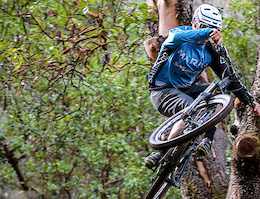 California Enduro Series announces 2015 schedule with added venues, categories and equal pro payout for series winners. 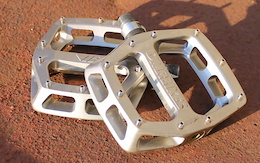 Visit the Advent Calendar today and you could win three pairs of Xpedo SPRY pedals. 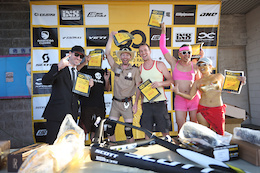 Need an excuse to get to the world's premier mountain bike festival in the Southern Hemisphere? 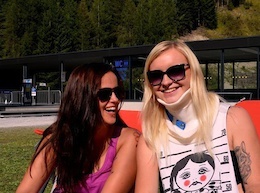 Sign up to volunteer for Crankworx Rotorua. The double back flip is well on its way to being a stock trick for this young ripper. Rocky's carbon fiber Thunderbolt gets the BC treatment with a longer travel fork, wider bars and shorter stem. 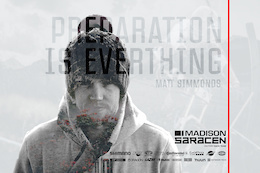 In part one of Reflections we see Madison Saracen rider, Matt Simmonds talk about his first season with the team. Narbaix and Nico Tikhomiroff explore the natural trails in Cucuron, France. 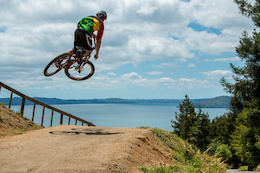 If this doesn't get you pumped for the upcoming season in Rotorua, we don't know what will. 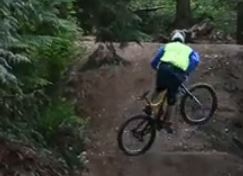 Check out the park with Louis Hamilton, Lisa Horlor and Matt Walker as they rip up the trails at Skyline Gravity Park. Here we go! 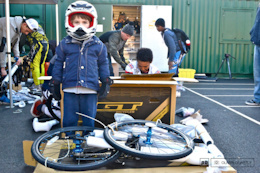 Share the Ride and Si Paton visit Peckham's Burgess Park BMX track, to drop off a van full of new bikes for Christmas. No matter what the weather, there's always riding to be had. 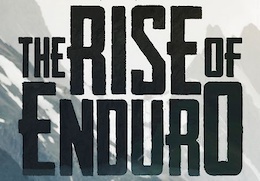 Thanks to everyone that watched the World Premiere for The Rise of Enduro today. Details inside on where you can purchase the movie. We've got a fresh collection of 21 videos for you this week. Please enjoy responsibly. 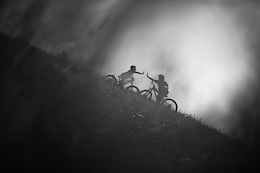 Air, dirt, inspiration, challenge, a mountian bike rides with a para-glider in France. A nice short video to remind us that it's not snowing everywhere in the winter. 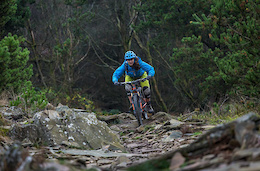 Epic Cymru is a new event for 2015 that will see riders tackle five stages on some of the best riding South Wales has to offer. The You Yangs host the first round of the Aussie National Series, and puts riders to the test with unavoidable heat and loose conditions. 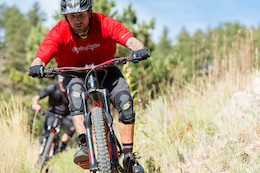 Big Mountain Enduro, Yeti Cycles, Shimano and Oskar Blues are bringing in the new year with the premier of the Rise of Enduro in Boulder, CO.
Watch a video that isn't polished, but has ripping riding and a crew that is having a blast out there getting loose. Even when you get the chance to travel to ride, if you're lucky there's no place like home at your local spots when it comes to the best places to ride. 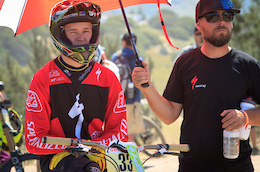 After three years with team MIA Santa Cruz, Kilian Bron is off to new adventures. Makken is a Viking, rides a blacked out bike, and rocks out. Aussie racing action kicks off in You Yangs this weekend. Pinkbike takes a closer look at the bikes vying for the podium. 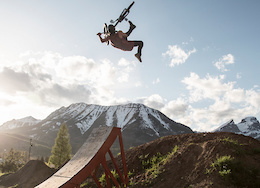 James Doerfling and Knolly are pumped to announce they will be working together for another two years. We've seen a few nights edits here on Pinkbike, but this one features some dirt jumping and a stealthy night time trail dog companion. We definitely wish we had a set-up like this in our backyard. 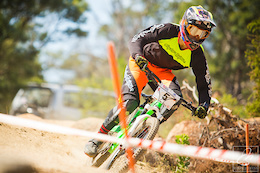 Mansfield hosted the 4th round of the Victorian Gravity Enduro series last weekend, check out the video re-cap here. Over a year after his femur breaking crash at the 2013 Red Bull Rampage, Mark Matthews' appeals to his medical insurance coverage have him sitting in nearly $40,000 of debt. He and his sponsors have gathered together to put on this fundraiser to help Mark raise funds to eliminate that pile of debt and we can help out too. 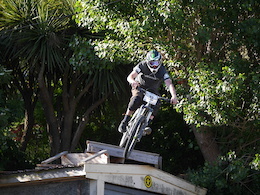 Follow Isaac Luoni down the Lyttelton Urban Downhill course as he's chased by a drone. We check in with one the hardest working and most stylish dirt jumpers in California, Ray George. 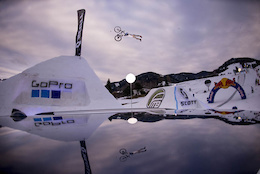 Leogang will host the first round of the 2015 FMB World Tour when White Style returns for another year to see pro's take on a course made entirely from snow. We saw what some would call a breaking point in how hard you could push riders this year at some of the Enduro World Series stops. 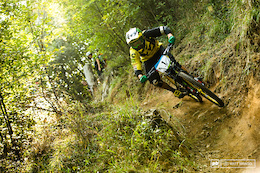 After polling the top riders, here are the top nominees for enduro race of the year. 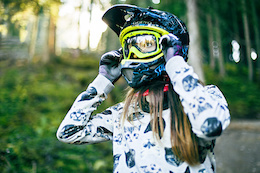 Valentina Hoell is a 13-year-old ripper from Austria, a talent so promising YT Industries signed her up to a six year sponsorship deal. 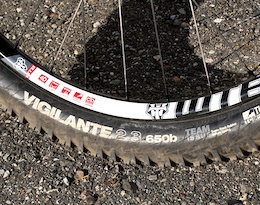 Pinkbike Poll: Are You Plagued By Flat Tires? Even the world's best aren't immune to flat tires. Cast your vote in this week's Pinkbike Poll. Does the latest incarnation of the DMR V12 live up to its legendary reputation? 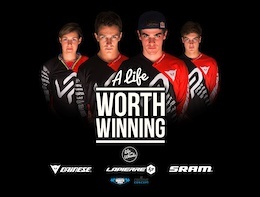 Today marks the general release of 'A Life Worth Winning' a film exploring the inner workings of the Lapierre Gravity Republic Team in 2014. Visit the Advent Calendar today and you could win Lizard Skins Grips. 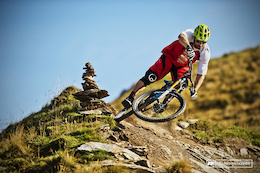 Entries for the 2015 'Ard Rock Enduro are now open. 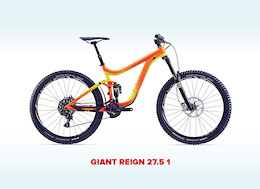 Entry to win a Giant Reign 27.5 is now over, but you can still make a donation to the cause via our indiegogo page. 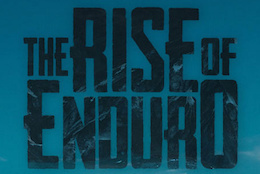 We are stoked to announce the FREE, World Premiere of The Rise of Enduro this coming Monday, December 15th. 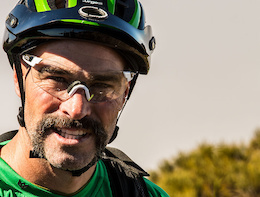 Back on the bike and stronger than ever, Northern California's indomitable hard man talks about overcoming adversity and shredding for a living. 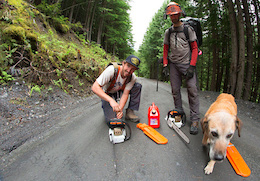 Matt Hunter and Andrew Shandro head deep into the backcountry with Anthill Films and Sterling Lorence in tow. This is one adventure for the ages. This team had a great season and continues to grow as a World Cup force. 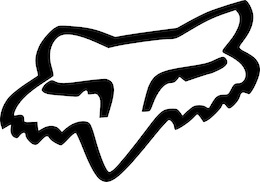 News broke yesterday that Fox Head is set to be bought by Altamont Capital Partners, as San Francisco-based investment firm. 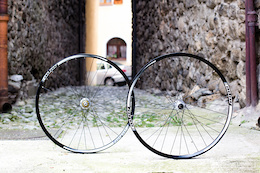 Does Superstar's new Tech 4 wheelset offer the best value in the business? 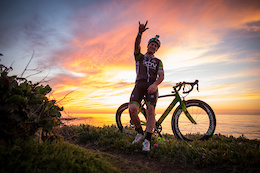 It's the end of an era - Aaron Chase will no longer be riding for Cannondale after an amazing 17 year stint with the company. Matt MacDuff takes some beatings, but lands the trick and is here to show us how it all went down. 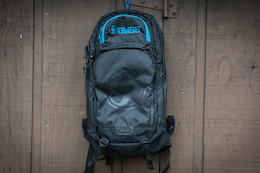 Visit the Advent Calendar today and you could win a Bliss Protection Vertical Backpack. 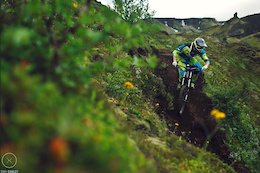 Riding the big mountain lines of Iceland’s hostile moonscape with Kyle Jameson. Pumped BMX 2 is available for Android from today. 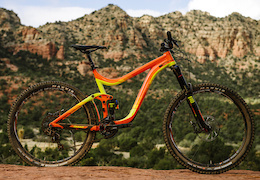 If James Bond rode a mountain bike, he would have one of these. A season so packed with action it was bursting at the seams, it's certainly no easy task to pinpoint which single event should take the crown as Pinkbike's downhill race of the year. 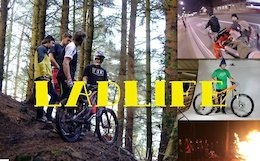 The brand new film from Eric Lawrenuk stars the entire Chromag team. Mark your calendar, this one is going to be good. Liam and Joe arrive home from Canada to find an interesting suitcase?! 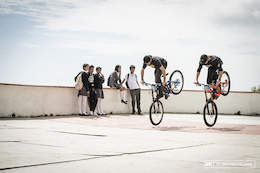 Here are Trek's C3 riders, Rheeder, R-Dog and Makken's impressions of the Taxco Urban Downhill event and as with any event this unique, the behind the scenes stories are almost as interesting as the event itself. 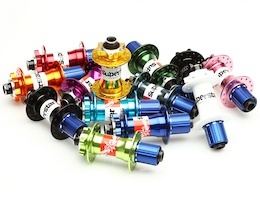 See what's in store for this edition of Freehub and get a cracking deal while you're at it. 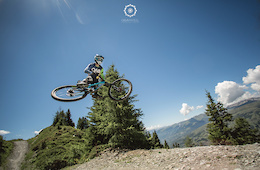 Follow head of the Bikepark, Fabrice Tirefort down the 120 jumps run from top to bottom at Verbier Bikepark. 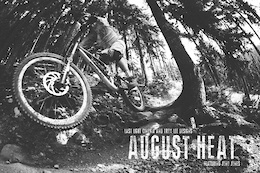 We're stoked on our 2015 Calendar and we know that you will be too. 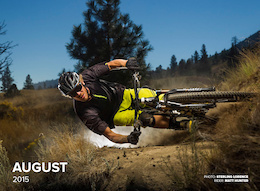 Each month you'll get to stay on top of the biggest events in mountain biking while checking out stunning imagery. The dates for the 2015 Dunbar Summer Series have been released, get booked on and help raise money for the Love for Lola Fund. 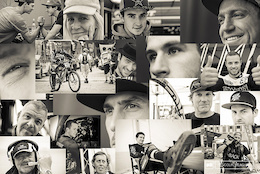 After an incredible race season, we've selected this year's top five male gravity racers. Telus Optik TV takes us behind the scenes at Crankworx Whistler for an in-depth look at the festival. Episode One comes from the perspective of amateur rider, Brad Bethune talking about his experience of the Crankworx Canadian Open Enduro. What better way to celebrate Back on Track's ten year anniversary than with a cheeky building and riding edit. 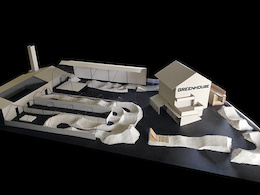 The infamous Swiss Greenhouse Pumptrack event returns for 2015. 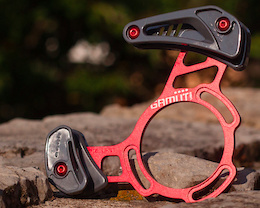 We sat down with Gamut USA's founder to learn more about the California-based company, and to get a closer look at their newest line of chainguides. 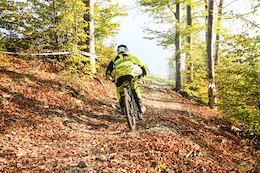 Time for one last autumn ride across the epic Saalbach Hinterglemm 'bicycle kingdom' before winter takes over. Visit the Advent Calendar today and you could win Source Hydration Prizes. 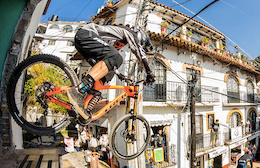 Trek's Brett Rheeder, R-Dog, and Makken head to the Taxco Urban DH event in Mexico and give stair racing a go. 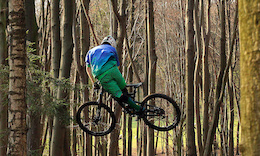 Cherrybomb is a series of documentary videos about Pavel Alekhin, the Russian MTB athlete that blows minds with his combos and riding skills. Lightweight and portable workstand that bristles with pro-level features. 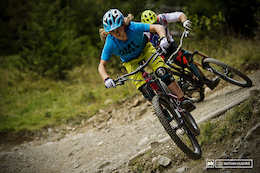 Five of the fastest females on two wheels have been selected for Pinkbike's Gravity Racer of the Year award. 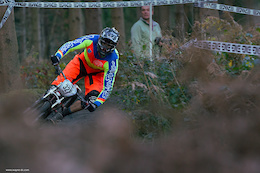 The racing year wrapped up with the first round of the 661 Mini Downhill winter series at the Forest of Dean last weekend. 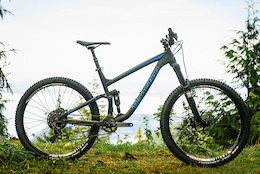 Giant's sturdy 160-millimeter-travel aluminum framed AM/enduro machine is not afraid of the steep and technical. We've reached our goal but there is still one more week left to contribute and make a difference this holiday season. Short, light, small? Kona would like you to meet the Process 134 SE. 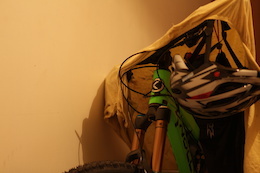 Believe it or not even a job riding bikes can sometimes become a chore. 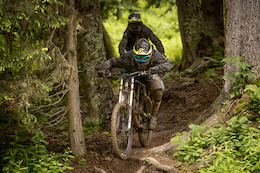 Sometimes it's nice to reconnect with the trails and recharge so Ed Oxley and Doug McDonald did just that in their off season adventure. Need some off-season entertainment? The Bootleg Canyon Winter Series is about to get underway. 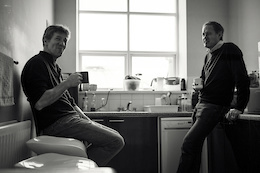 How two motorcycle riders built the UK's most influential mountain bike business. 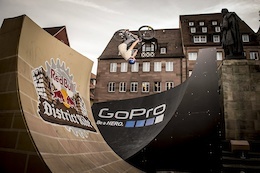 If you've got 52 minutes, then you should relax and enjoy this episode of Red Bull Signature Series as they showcase District Ride in Nuremberg, Germany. 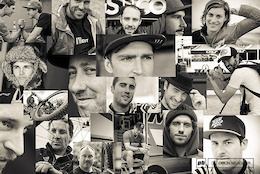 Madison Saracen have announced their team line-up for 2015. Video: Is the Off Season Really That Bad? 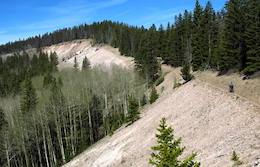 Dependant upon where you live, the off-season really can be a good time on the trails. Visit the Advent Calendar today and you could win a PB Hat, Shirt, Pair of Socks and a Sticker Kit. 19 videos for your work week. Please enjoy. We just need to step outside of our bubbles to discover a new zone and more great people. Moving up to any factory team means that you've got skills. After three weeks of road tripping around Canada, Da" U Corp return to Mount Cypress where the epic journey began for one last shoot. 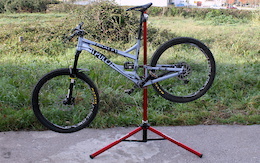 Production versions of the 27.5-inch-wheel race bikes that the Syndicate Team have been using are already arriving at shops. The wet weather in Morzine has now turned to snow but it doesn't stop the locals from getting out and enjoying the trails. 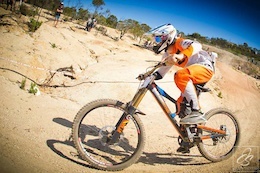 The Toyota Cannonball Festival in Thredbo this weekend saw some of the world’s best mountain bike riders mix it up with Mother Nature's tough conditions. 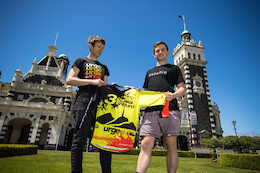 Anton Cooper and Rosara Joseph prove too good at the Urge 3 Peaks Enduro staged in Dunedin, New Zealand, at the weekend. Catch some world class action from the likes of Remi Thirion, Mick and Tracey Hannah, Wyn Masters, The Coastal Crew and more. There's nothing better than being able to get out on the bike everyday. For one rider, September and October became Epictember with 35 days of solid riding and plenty of adventures. Four months, 3700 miles and nearly nearly a half a million feet of climbing. The Continental Divide Trail from Mexico to Canada is not something to be taken lightly, but for Scott Morris and his girlfriend, Eszter Horanyi, it was the ultimate adventure. 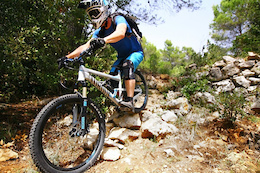 Discover the Haut Var region of southern France with Provence Enduro. Some nice Saturday cruising to keep you stoked. 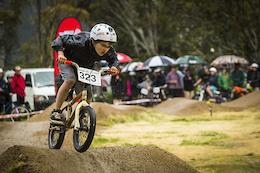 Catch up with day one action from the Cannonball Festival at Thredbo Alpine Village. Biotop 3 is dropping February, 2015. Expect more downhill, dirt, street, atv and pumptrack action in this follow-up from Inside the Biotop. 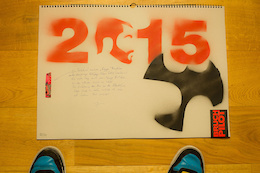 Jens has put together his 2015 calendar. Check it out. 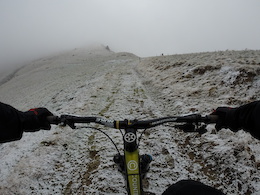 Buckled front wheels, slick conditions and attempting to stay upright - all on day one at 3 Peaks Enduro. 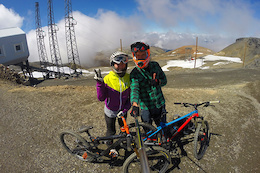 Les Deux Alpes is a perfect place for riding. 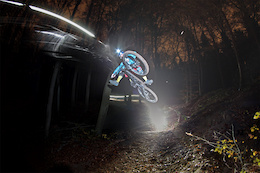 NS Team rider, Marcel Haczek went to visit during his last roadtrip. 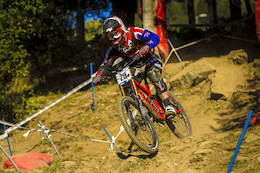 This is one junior's experience from the UCI World Champs in Hafjell. Check out the teaser for the South Crew boys' latest tour to Austria and Switzerland. 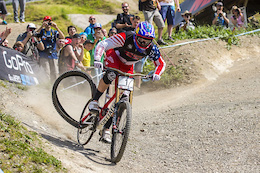 Race Face performance products and Easton Cycling to strengthen and expand FOX’s ride dynamics portfolio. Brayden Barrett-Hay is a testament to determination and hard work. 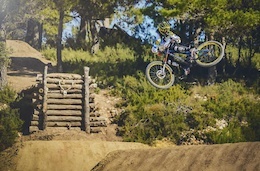 From his potentially career ending crash at Crankworx in 2013 to the rider you see in this video today, he's a machine. Shenanigans and bike riding. Mostly shenanigans. 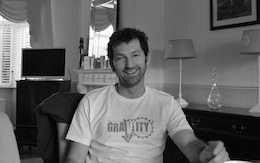 The story of the creative genius that is Dan Atherton and his ambition and drive to build trails that push mountain biking to a new level. The most popular BMX gaming app will be available on android Thursday, December 11. Newer isn't always better, but it certainly is in the case of our five nominees for Innovation of the Year. Sam, Tom and Matt take to the streets of London the city's transit offering, the Boris Bike. This edit has some cool angles and twists in it that challenge our perspective on mountain biking. 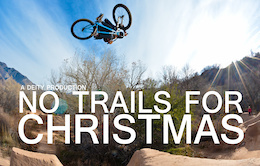 When Church came out at the start of this past season we were pretty pumped on such a progressive trail riding video. Now here is the teaser for the soon to be released Church Two, get pumped. 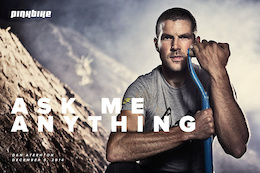 FINISHED: Ask Me Anything: Dan Atherton - Escape. Create. Put your Friday plans on hold, Dan Atherton will be live on Pinkbike today to answer your questions about Escape. Create. 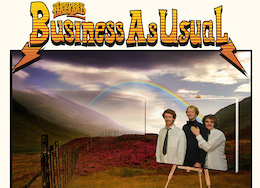 10:00 AM PST, 1:00 PM EST, 6:00 PM BST. $26,222 (87%) of the $30,000 goal has been contributed. 8 days left to raise $3778. Let's dig in and make it happen! 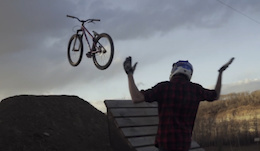 Last Light Cinema brings us a stunning short film from their trip to ride Vancouver, Whistler, and the Coast Gravity Park. 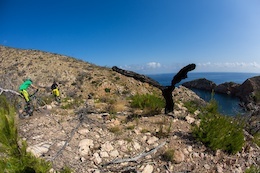 For the season finale, the Trippin' Worldwide Crew head to Ibiza for sun, sand and trails. 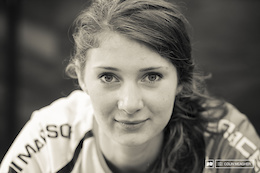 After rumours of her retirement at the end of this season, Emmeline Ragot has signed with MS Mondraker for 2015, returning to the team after a successful year with them back in 2012. Find out what happened in 2014, and what she has planned for the future. Riley McIntosh takes us to Quadra Island for a meeting with Sam Whittingham, a custom frame builder with a land speed world record; and Dylan Tremblay, one of the heroes of Drop In TV. 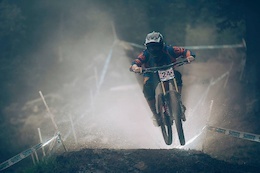 2014 Downhill World Champion, Manon Carpenter has been nominated for BBC Wales Sports Personality of the Year, voting closes tomorrow. 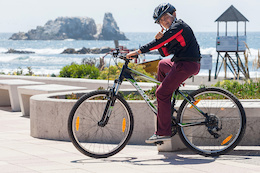 2014 was a banner year for suspension, with exciting new options in every travel bracket, as well as a fresh pint-sized performer for the back of the bike. Here are our five picks when it comes to suspension that makes a difference. Get your Christmas gifts in order with some great online deals this December. We catch up with the former Enduro World Champion about his tough season, returning to racing and re-signing for Cannondale. Giant's European family of riders gathered in France for some end of the season riding in pretty pristine conditions. 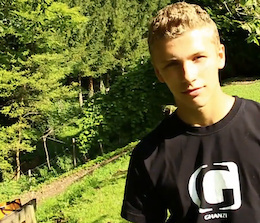 MTB Enduro World Champion, Jerome Clementz has re-signed with Cannondale. Ruby the Hungarian Vizsla loves nothing more than tearing up the trails after dark with her very own lights. 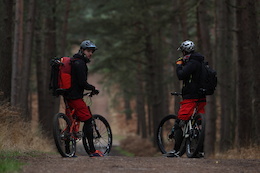 Dan Milner hooks up with Ludo and MTB guide Phil Warham to have them show him one of their favorite backcountry rides. He also decides to do the whole thing eating nothing but Swiss chocolate. Check in with Trevor Jacob at home and watch Brandon Schmidt nail a BMX Double Backflip 360 off the Gigant-A-Ramp. 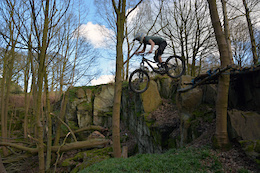 After two years of recovery, Mateusz Handzlik finally gets time on the bike. Riding local spots and Mt.Heat he makes up for lost time. We have some pretty rad entries to the GoPro Best Line Contest, here are the top three winners from November. 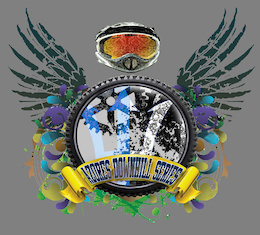 Congrats to Matt Kurle, he snags $1000 for his entry, Semper Dirticus. Three made-in-the UK essentials to keep you looking sharp and your bike running smoothly. 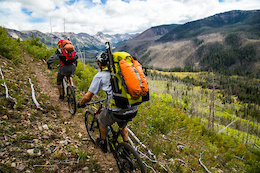 The Yeti Cycles crew explores some of the most beautiful trails we've ever seen. 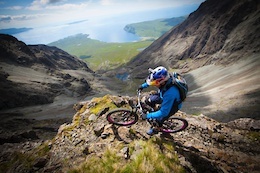 If this doesn't make you want to get on your bike, we don't know what will. A year of partying hard and riding even harder, follow the CP Gang through one hell of a season. 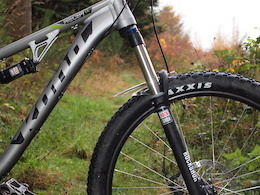 Visit the Advent Calendar today and you could win some RockShox Pike Forks. 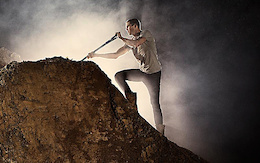 In part 3 we get to see the saw crew clear a path for the dig crew in the mountains above Retallack and start putting their vision into reality. 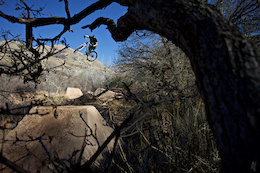 This crew of Scott riders have been destroying trails for the last two years and it's not looking to slow down either. O'Neal have welcomed, Adam Glosowic to the team for 2015. Catch up with him in his own spot in his backyard. After years of riding with the SCOTT family, Thomas Lapeyrie has one final send-off before moving on to new things. After undergoing some final surgery, Tracey Hannah returns to racing in Indonesia and reflects on getting back on the bike. 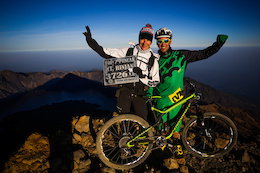 In part 2 of Jerome Clementz's Escape Mount Rinjani, we get a good look behind the scenes at what all it took to make this big adventure happen. Check Out is Pinkbike's newest place to see what's hot for under $200. 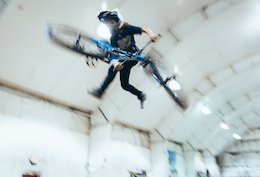 Team FunBikes hit up Młynka and Tomaszowice in Krakow to produce their first team edit. We've selected five products that are well worth shelling out those hard earned dollars for. 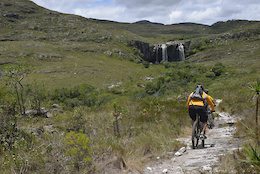 There are so many epic mountain bike trails in Brazil, the Bicame Waterfall Trail is just one of them. Dylan, Curtis, and Kyle enjoy some quality fall riding on their Demos at the Coast Gravity Park. Follow Hunter, Shandro and Vanderham down a trail and control their points of view. This is rad. Cam Zink needs no introduction, but this film does shed more light on just who he is when not blowing our minds from behind his handlebars. Marco Osborne, one of America's brightest up-and-coming talents in enduro racing, went down hard yesterday. Check out the top Photo of the Day images from the month of November 2014. This is the third and final installment of the series that captures the personalities that keep the World Cup ticking. 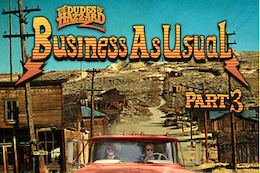 The Dudes of Hazzard are back with Part Three. This time the boys travel around America and Canada in their Red Truck Rental. Video: It's Not a Race, Right? There's nothing wrong with a bit of healthy competition, even if it's not a race. 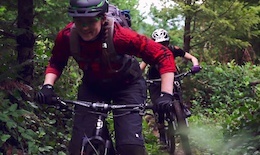 Claire and Rachael spend some time away from enduro racing to get some practice during off season. 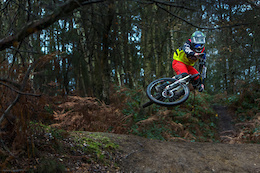 Tom Cardy travels with the Animal action sports tour around the UK and his riding does the talking. Cole Mooney rides the wet, slick North Shore and comes away unscathed. 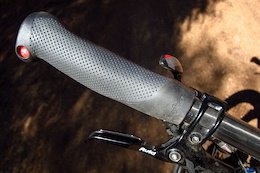 Moderately-profiled ergo-grips designed for all-mountain-style technical riders. Off season is a good time to train, work on new skills and have fun until summer returns. It's been an entertaining few weeks of competition but it's time to wrap up the Ray's Odd Couple contest and announce the winner. 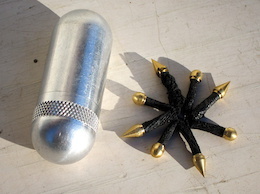 There are some things that you just can't leave home without. Here are seven things that I always have to hand to ensure I'm prepared for most situations on the go. Visit the Advent Calendar today and you could win product from Bliss Protection. 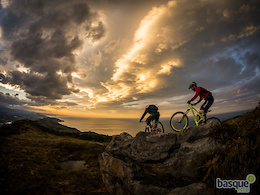 The team riders from Race Company, MIA Santa Cruz, headed to Madeira for ten days of riding and they weren't disappointed. The season may be over in North America, but big names are expected for this weekends race in Dunedin. 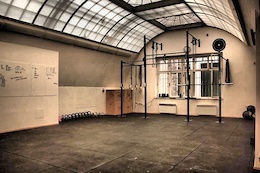 Winter is a time to work hard, Tomas Zejda has chosen Crossfit to build up strength and endurance for the 2015 season. Les Vosges mountains aren't just home to amazing views and wildlife, it's also got some incredible trails. A new mud guard hits the market. 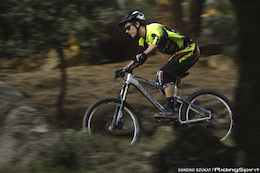 Bike Safari Tour will hold the Azores Downhill Series in 2015. Wow, Brett Rheeder and Mind Spark Cinema's latest edit is a serious contender for video of the year. We've narrowed it down to five finalists - see who the top candidates are for Pinkbike's Bike of the Year award. 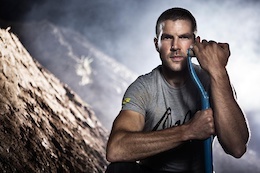 Meet the man behind the insane Hardline course, Dan Atherton, in an upcoming film dropping this Friday. In episode one of this new Red Bull series, Joe travels to the Portuguese island of Madeira. In a pirate ship. Last fall Simon Berggren and Erik Tesch went to the home town of Linus Sjöholm in Skövde, Sweden to ride some backyard jumps and hit the local trails. 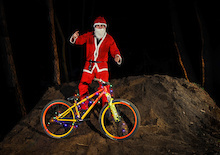 Festive Fun - Win great prizes daily simply by visiting the Pinkbike Advent Calendar. A French filmmaker shares his passion for the Riviera. Check out the top Videos of the Day from November. There are no lollipops in this video, just great times at Leogang in Austria and from the looks of things, it's a great place to spend your day riding. Give your second place winners of the Ray's Odd Couple Video Contest a round of applause. Snow just won't stop some. 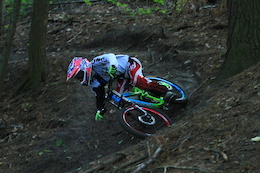 Tanner Stephens rips it up on his xc bike. This is Quentin's body of work from the last two years as a director. Making a run for the Olympics, bidding for World Championship gold, Aggy, Antoine and Connor all sign new two-year deals…lots of big news as Kona announces its 2015 athlete roster. 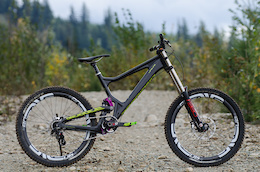 Transition has unveiled a new line of bikes for 2015 - we put the 125mm Scout to the test. Next year sees the UCI Elite Team, Trek World Racing, entering its 7th season on the World Cup circuit and will do so with 4 talented riders returning from 2014.